In September 2018, the Courtauld Gallery in London announced development plans to revitalize the museum’s historic site, the 18th century Somerset House. As a result, the museum’s galleries will be closed for renovation until at least 2020. 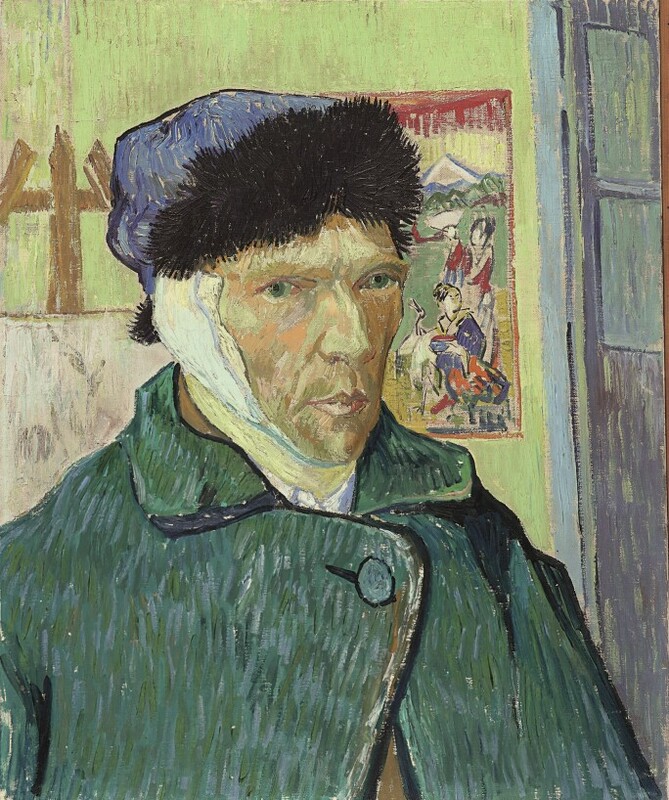 Despite the building’s recent closure, the renowned institution’s impressive collection – which includes masterpieces such as Vincent van Gogh’s Self-Portrait with Bandaged Ear – will remain largely accessible to the public at the Fondation Louis Vuitton in Paris. Vincent van Gogh, Self-Portrait with Bandaged Ear, 1889, © The Samuel Courtauld Trust, The Courtauld Gallery, London. On loan to the Van Gogh Museum in Amsterdam until 2020. On view in February at the Fondation Louis Vuitton is the exhibition The Courtauld Collection: A Vision for Impressionism, a stunning assortment of pieces from the Courtauld displayed alongside highlights from the National Gallery’s permanent collection. The Courtauld Collection showcases the stylistic evolution of French modernism, from the 1860s to the early 1900s, exemplified by celebrated artists like Cézanne, Pissarro, Van Gogh, and Gauguin. In Paris, over 100 artworks from the National Gallery in London and the Courtauld will be mounted. Preview highlights from the show above. A Bar at the Folies-Bergère was created shortly before Manet’s premature death at the age of 51. Folies-Bergère was a well-known music hall in Paris. 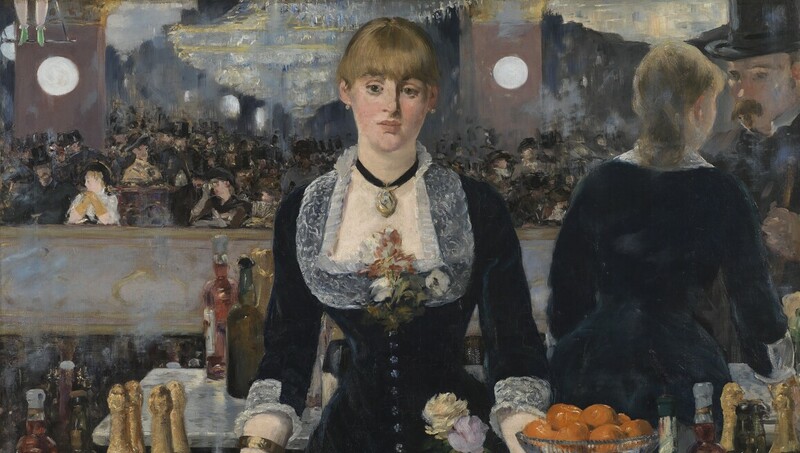 Manet knew the barmaid, Suzon, who is the focal point of the piece. Oil on canvas 96 × 130 cm. © The Samuel Courtauld Trust, The Courtauld Gallery, London. Van Gogh’s A Wheatfield, with Cypresses was painted during the artist’s sojourn at the St-Rémy mental asylum, an institution adjacent to the city of Arles in France. The piece was created in September 1889, almost a year before his death in July of 1890. Oil on canvas, 72.1 × 90.9 cm © The National Gallery, London. In contrast to A Bar at Folies-Bergère, Music in the Tuileries Gardens was one of Manet’s first large-scale paintings. Several portraits of Manet’s friends are identifiable in the piece, including the famous poet Baudelaire. Oil on canvas 76.2 × 118.1 cm. Sir Hugh Lane Bequest, 1917. © The National Gallery, London. Considered one of Cézanne’s greatest paintings, The Card Players exists in five versions; there are variations found in the Barnes Foundation, the Metropolitan Museum of Art, and the Musée d’Orsay. The Card Players is an example of Cézanne's interest in provincial peasant scenes. Oil on canvas 60 × 73 cm. © The Samuel Courtauld Trust, The Courtauld Gallery, London. Fascinated by still-life compositions, Still Life with Plaster Cupid embodies Cézanne’s experimentation with perspective and form. The complex painting depicts onions alongside apples in the artist’s studio. Oil on paper on board 70.6 × 57.3 cm. © The Samuel Courtauld Trust, The Courtauld Gallery, London. Place Lafayette, Rouen is one of thirteen landscapes created by Pissarro in 1883. The view of Place Lafayette is painted from Pissarro’s hotel room along the river Seine. Oil on canvas 46.3 × 55.7 cm. © The Samuel Courtauld Trust, The Courtauld Gallery, London. Gauguin produced The Haystacks during one of his early career visits to the French region of Brittany. Preceding his stays in Tahiti and Martinique, Gauguin first became interested in the concept of ‘primitivism’ in Brittany. Traditional Breton costume, although typically reserved for festivities in Brittany, is depicted in The Haystacks as quotidian dress. Oil on canvas 92 × 73.3 cm. © The Samuel Courtauld Trust, The Courtauld Gallery, London.